Yesterday we had reported that Chevrolet (General Motors) is planning to launch their all new vehicle, Chevrolet Sail hatchback in July 2012. The car will be called as Sail U-VA and will be offered with an all new 1.3 litre diesel engine. After a couple of months GM will introduce Sail Sedan to the Indian market as well that will also feature the same engine. 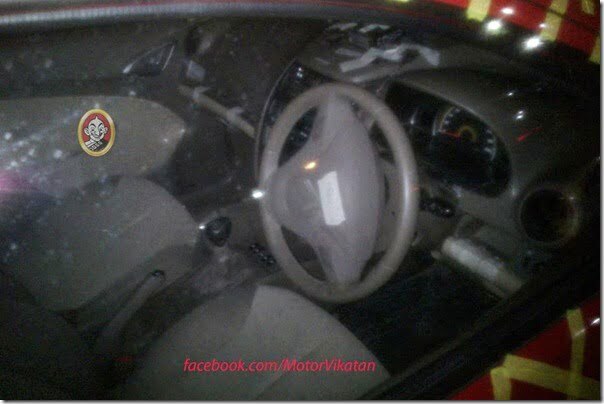 In fact the same heart will be installed in GM’s upcoming Chevrolet Enjoy MPV as well. We had also informed you about the company’s plans of adopting extensive localization strategies not only for its existing line-up but upcoming vehicles as well. 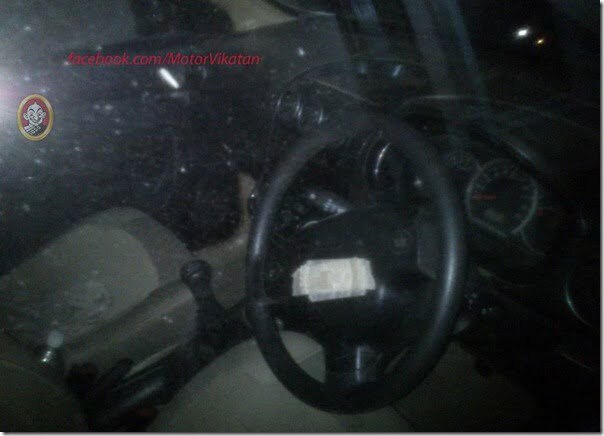 Now that GM has scheduled the car’s launch for July 2012, we are not surprised to see some fresh spy shots of the car. Lately one of the fellow blogs belonging to the southern region of India, managed to get some interesting pictures of the interior of Sail U-VA hatch, Sail sedan and Enjoy MPV. Talking about the interiors of the Chevrolet Sail Hatchback and Sedan, they look almost the same and it looks like that they share the same components on the interiors when it comes to the dashboard, central console, steering wheel etc. 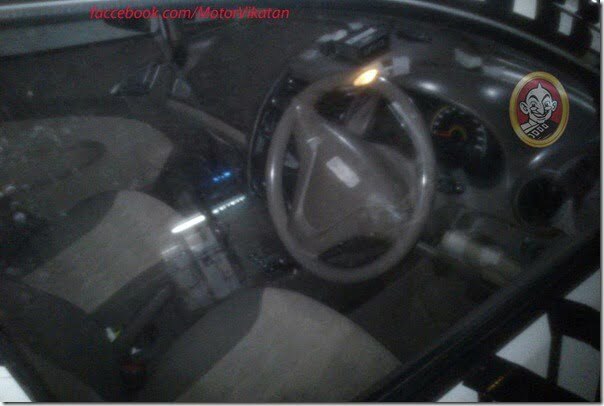 The images are not very clear, so the detailing of the interiors like the quality etc. are not very clear. The colour combination on the interiors is beige and brown which seems to be the preferred choice of Indian car buyers in this segment as it looks more premium. The Enjoy MPV gets black dashboard and instrument cluster which gives an indication that GM India has tried to keep it simple and basic to keep the cost under control here too. The seats on this test car are beige which may or may not be the final production version. The overall appearance is simple and plain here keeping in mind the target customer group of the MUV vehicles which is mostly commercial and large families who are looking for space and affordability. We will keep an eye on the developments of Chevrolet Sail series and Enjoy MPV, stay tuned to us for more updates.